Andrea Botero, MHA serves as President for New Mexico Healthcare Executives. Andrea encompasses extensive experience in nonprofit management, organizational development, grassroots organizing, research, and grant writing around public health topics with a particular focus on subaltern communities. Currently, Ms. Botero works in clinical operations at Presbyterian Medical Group. Her work is deeply informed through her advocacy in health equity of subaltern constituencies, in particular in the areas of programming and research that is community-informed, led, and organized. Her outside interests include hot yoga, the intersection of traditional and conventional medicine as an administrative topic, reading, the arts, and outdoor activities with her family. Stephen Stoddard is the Executive Director of the New Mexico Rural Hospital Network which is a collaborative organization consisting of 10 rural hospitals with the mission to support and sustain quality healthcare. He currently serves as the Board Past President of the National Cooperative of Health Networks. He is a Fellow of the American College of Healthcare Executives and has served as the President of the Idaho Healthcare Executive Forum. He joined ACHE as a student associate 20 years ago and has maintained his activity and membership throughout his career. Some of his past ACHE volunteer experience includes serving as a Board Member and Membership Chair of the Idaho Healthcare Executive Forum (IHEF) and a member of the ACHE National Career Services Taskforce. Stephen has worked as the Executive Director of the Southwest Idaho Community Health Network, the Assistant Administrator / Corporate Compliance Officer of Smithville Regional Hospital in Texas, and the Administrative Fellow at Chesapeake General Hospital in Virginia. He earned his master’s degree in healthcare administration at the University of North Carolina at Chapel Hill and his bachelor’s degree at Brigham Young University, Provo. Stephen enjoys water skiing, camping, traveling and spending time with his wife and three children. Debra opened her own company in 2005 and has been working with organizations to increase their productivity, develop their leaders, recruit executive talent and improve their overall organizational culture. She also serves in the capacity as Interim Chief Nursing Officer and has worked with both for profit and not for profit organizations from 50 beds to 345 bed Level I trauma centers. Debra is actively involved with the mentoring of new CNO’s through the AONE organization. Debra is adept at evaluating existing work processes, systems and operations, identifying causes of problems and inefficiencies, defining achievable goals, and developing/implementing procedures, policies and training programs to meet immediate needs and advance long-range objectives. She is a natural leader with a proven capacity to motivate individuals to achieve their highest potential and has specific talents in the startup of new hospitals, units and programs. Debra provides mentoring to leaders and managers, executive coaching, professional executive recruitment, strategic planning, financial stewardship training, implementation of customer service programs, preparation for regulatory surveys, such as TJC and CMS, as well as proven recruitment and retention strategies. Debra has 33 years of successful work history in nursing including eighteen years in key leadership positions, such as Chief Clinical Officer, Chief Nursing Officer, and Director of Critical Care, PACU and CVICU. Her clinical background is critical care. Debra was born in North Carolina and obtained her Bachelors of Nursing degree from the University of North Carolina at Chapel Hill. She obtained her Master’s degree in Business Administration/Health Care Administration from the University of Phoenix. Debra has served on many hospital boards in the capacity of Chief Nursing Officer. She currently serves as Treasurer of the Home Owner’s Association Board of Directors in North Carolina. She has previously served on the Executive Board of the Sexual Assault Nurse Examiners Collaborative in New Mexico and the New Mexico Arts Council. She is an active member of American College of Health Care Executives, American Organization for Nurse Executives and American Nurses Association. Debra resides in New Mexico with her husband. Her outside interests include hiking, kayaking and enjoying time at their beach place with her husband, son and grandson. Debra currently serves as President for the 2017 year. Claire joined ACHE in 2012 and has been active in the Programs and Communication Committees for NMHE. In January 2014 Claire became the Board Secretary. She works at REDW, LLC, a public accounting firm based out of Albuquerque, NM, specializing in the healthcare industry. She provides internal and financial audit expertise as well as consulting for various physician groups and practices. She is especially passionate about the challenges found in non-profit healthcare operations and Federally Qualified Health Centers (FQHC's). In the past, Claire worked as a facilitator and home care provider for companies such as ReMed and Special Care located in Pennsylvania. Claire received her bachelor's degree in political science and Russian language from West Chester University of Pennsylvania. She received her MBA from the University of New Mexico. In 2015 Claire was awarded the ACHE Regents Award for young leaders. When not at work, Claire enjoys traveling, mountain biking, skiing, scuba and skydiving and the great outdoors. Mary A. Jacintha, FACHE, is the Executive Administrator of the University of New Mexico (UNM) Health System. Mary started her career in healthcare administration as the Administrator for the Department of Orthopaedics and Rehabilitation at the UNM. Prior to roles in healthcare administration, Mary was active in brain imaging projects. A Chemistry graduate with a business background and a passion for healthcare centered on patients and the providers, Mary believes in open dialogue between stakeholders to move our healthcare delivery forward. Mary's current mission is to focus on patient care, their experiences and outcomes by providing the best platform for the clinicians to provide the care. In addition to healthcare, Mary enjoys horseback riding, tennis, traveling, scuba diving, cooking, sailing, and above all meeting people and making friends. Mary serves as the American College of Healthcare Executives Regent for New Mexico and Southwest Texas since 2016 year. Ron Aldrich, MBA, LFACHE, has fifty years leadership and governance experience in national and regional healthcare organizations including twenty years as CEO of three multi-hospital systems and five years as a hospital CEO. Ron helped lead the merger twenty-one years ago of three large Catholic healthcare systems totaling 126 organizations in 21 states and the design of the governance and management structure for the newly integrated system (Catholic Health Initiatives). Currently, Ron is Pathfinder, Limberpine Associates, Inc., where he performs health care consulting projects. He recently completed two projects in New Mexico and Illinois. Ron is a Life Fellow of the American College of Health Care Executives, Life Member of the American Hospital Association and former Chairperson of the Catholic Health Association of the United States. He was elected to the AHA Region Eight Regional Policy Board effective January, 2013, for a two year term, and appointed to the Western Regional Trustees Symposium Planning Committee representing New Mexico Trustees for a three year term. Ron served for six years in Santa Fe, New Mexico at Christus St. Vincent Regional Medical Center as a member of the Board of Directors and as Chair of the Community Health & Wellness Committee. He was also elected Vice Chair, Chair, and Immediate Past Chair of the Board. He completed his term of office in 2014. He currently serves as Chair, Board of Directors of Villa Therese Catholic Clinic in Santa Fe, a Free Clinic serving the medical and dental needs of economically underserved children and adults. The Clinic was started eighty years ago by the Sisters of Charity of Cincinatti, also the founders of St. Vincent Hospital more than one hundred fifty years ago. He is an Adjunct Professor, Master of Health Administration (MHA) Program, School of Public Administration, and also for the BSPH Program in the College of Population Health, University of New Mexico, Albuquerque. Ron also serves as a Mentor in the NMHE/ACHE Mentorship Program to three early careerists in New Mexico. Ron earned his MBA in Health & Hospital Administration from the University of Florida and holds a BA in Economics from the University of South Florida. Amy earned a master’s of science in nursing (MSN) in healthcare administration and a bachelor’s of science in nursing (BSN) at Excelsior College in Albany, NY. She is a member of the American College of Healthcare Executives is on the board of the Albuquerque Ambulance Services in addition to the New Mexico Healthcare Executives. She is a member of the United Way of New Mexico Tocqueville Society and the United Way of New Mexico Women in Philanthropy. Blasing brings over two decades of experience as a health care executive, most recently as the administrator at Presbyterian Hospital in Albuquerque, New Mexico. In her previous five years at Presbyterian Hospital, Amy served as the associate administrator (chief operations officer), the administrator of urgent and emergent services and the system director of emergency services. In the past 20 years, Amy has worked in various healthcare organizations across the country, leading both inpatient and ambulatory areas and serving as Chief Nursing Officer. Previous to her time in Albuquerque, Amy served at a variety of health care facilities and systems, including Universal Healthcare Services in King of Prussia, Pennsylvania; Centennial Hills Hospital Medical Center in Las Vegas, Nevada; Rockford Health System in Rockford, Illinois; St. Peter’s Hospital in Helena, Montana and Valley Health System in Hemet, California. Amy is passionate about patient flow and finding innovative solutions to our changing healthcare environment. When not working, Amy loves crafts, reading, arts, theater and traveling with her family. Ms. Campos began her career in health care in early 1993 as a hospital volunteer and community “encourager” under the Mountain States Health Corporation’s community health development program. She soon became Finance Officer for the small frontier hospital and served in that capacity from 1993 to 1996. From 1998 to 2005, she served as a member of the Clinical Operations Board of the University of New Mexico Hospital in Albuquerque. In 2004, she became the Administrator of Guadalupe County Hospital, a 10 bed general acute care hospital located in rural eastern New Mexico. As Administrator, Ms. Campos has reinvigorated the small hospital, improving and expanding services, training and recruiting local staff, and eliminating all agency and traveling staff. She spearheaded the planning, financing, design and construction of a replacement facility which opened in June 2011. The new hospital is both patient-centered and high tech. It achieved Meaningful Use in 2012, 2013, and 2014, and received HIMMS Stage 6 designation for electronic medical record adoption in January 2013. Most recently, Guadalupe County Hospital received the 2013 Press Ganey Guardian of Excellence Award for patient satisfaction in Inpatient Care. Ms. Campos received her BA in Latin American Studies and Economics from the University of New Mexico, and her MBA in Health Care Administration from Regis University in Denver, CO. She is past Chairman and member of the New Mexico Hospital Association Board of Directors. She also serves on the NM Trauma System Fund Authority, the NM Hospital Equipment Loan Council, and the Hospital Services Corporation Board of Directors. She is the immediate past Chairman of the NM Rural Hospital Network and is the past Chairman of the American College of Health Executives Management Series Editorial Board. She is a NM delegate to the American Hospital Association Region 8 Policy Review Board, and in 2013 was appointed by HHS Secretary Kathleen Sebelius to serve on the National Advisory Committee for Rural Health and Human Services. Kevin Carey is a senior healthcare management and business development leader, whose career has spanned multiple settings; clinical care-giver and U.S. Navy veteran, hospital administrator with multiple not-for-profit health systems, and managed care consultant for payors such as Aon and BCBS plans. During the past 15 years Kevin devoted his career to promoting and delivering all aspects of healthcare information technologies to Payors, Providers, and Government Contractors. Kevin has been serving as CEO, Holy Cross Physician Hospital Organization in Taos, since 2016, and is responsible for Payor Relations and Contracting as well as strategically positioning the local health system and a panel of 100+ practitioners for Value Based Care/Reimbursement and Population Health Management. He also is Partner/Owner in a national consulting firm focused on optimizing performance in risk, value-based arrangements. Kevin holds an MBA and MHSA from the University of Kansas, is board certified in healthcare management since 1997 and a Fellow in the American College of Healthcare Executives since 1999. Kevin is a CPHIMSS in the Healthcare Information and Management Systems Society and is looking forward to participating in, giving voice to and positioning NMHIMSS as an engaged, active and visionary chapter of HIMSS. Outside the office Kevin enjoys skiing, hiking with his wolf-dog Kaia of 11 years, enduro motorcycle riding, and is a PADI SCUBA Certified Dive Instructor. Dr. Edwardson is an Assistant Professor in the School of Public Administration at the University of New Mexico. His research focus is innovation implementation in healthcare—including statistical quality methods, cost-effectiveness, and psychometrics/survey design. Prior to joining the faculty at UNM, Nick was the Assistant Director at the Center for Health Organization Transformation (CHOT)—a National Science Foundation Industry-University Cooperative Research Center based out of Texas A&M University, Georgia Tech, Northeastern University, Penn State, and the University of Alabama at Birmingham. Dr. Edwardson received a Ph.D. in Health Services Research from Texas A&M University and an MS in Public Policy & Management from Carnegie Mellon University. He served in the U.S. Peace Corps in Nicaragua from 2006-2008. David is a life-long New Mexican who grew up in the Southeastern town of Dexter. He moved to Albuquerque to attend the University of New Mexico for his undergraduate degree where he majored in Psychology. David then attended UNM School of Medicine where he worked towards his medical doctor degree before deciding to change career paths and earning his Masters of Health Administration degree from the University of New Mexico. His interest in healthcare include quality improvement, efficient operations, provider relations, and the patient experience. David is currently the Operations Manager for Presbyterian Cardiology Group. Outside of clinic, David’s interest include reading, movies, Lobo basketball, spending time at local breweries with friends, and taking his dog for hikes. Paul Musgrave has over 30 years of experience in the design, development, and management of hospital, higher education and manufacturing operations. His areas of expertise include hospital operations management, strategic planning, strategic sourcing, hospital wide process re-engineering and multi-hospital process integration. Mr. Musgrave specializes in the rapid analysis of a company’s operations with a focus on the delivery of substantial cost savings through implementing aggressive but realistic performance improvement action plans. Mr. Musgrave is a Six Sigma Green Belt and has successfully managed multiple performance improvement initiatives using Six Sigma and Lean methodologies. Mr. Musgrave’s experience as a healthcare executive include key leadership roles at large academic medical centers and large Multi-Hospital systems including: Chief Operating Officer and Board Member – Lovelace Women’s Hospital (Albuquerque NM), Performance Improvement Leader for Tenet Healthcare’s Dallas Division, Vice President Strategic Planning and Population Health Operations for Children’s Medical Center (Dallas), Interim Chief Operating Officer at Howard University Hospital (Washington D.C), Interim Vice President of Administrative Services at Howard University (Washington D.C.) and Interim Vice President of Operations at Hurley Medical Center (Flint MI.). Prior to joining TRG Healthcare, Mr. Musgrave served as a Senior Manager at Deloitte Consulting and was responsible for helping lead Deloitte’s Healthcare Provider practice. Mr. Musgrave also spent time at Voluntary Hospitals of America (Irving, TX) and Baxter Healthcare (Deerfield, IL). Mr. Musgrave’s publications include: “Avoiding Scope Creep in Large System Projects” (National Association of Purchasing Managers Magazine), “Strategy and Planning for Healthcare Materials Management” (Healthcare Materials Management Magazine) and contributor to the “Efficient Healthcare Consumer Response” study. He has a Master’s and Bachelor’s Degree in Business Administration from Indiana State University. Lan Nguyen was born and raised in the Land of Enchantment, Albuquerque, New Mexico. She received her baccalaureate in Political Science at the University of New Mexico and is currently in the Masters in Health Administration program in the School of Public Administration at UNM. Lan is set to complete her Master’s degree in December. She is involved in many non-profit community associations and volunteers for the Vietnamese American Senior Association of New Mexico since 2008. Lan is a Board Member of the Asian American Association of New Mexico and the current President of the Student Association of Healthcare Administrators. She enjoys exploring the great landscapes of New Mexico and cooking for family and friends. Leeza joined ACHE in 2014 and has been actively involved in various parts of the organization such as Diversity Inclusion and Programming Committees. She currently works for Presbyterian Health Plan as an analyst on the core team. Leeza is currently working on various projects within her organization for data governance as well as implementation of Provider Engagement module in Mede Analytics. She volunteers with National Kidney Foundation as well as Roadrunner food bank. Community service is very dear to her heart and is always helping in various ways even at Presbyterian. Leeza completed her Bachelor’s degree in Computer Engineering in India from University of Pune. Shortly after which she moved to USA permanently. She went on to complete her MBA in Healthcare Management and Enterprise Resource Planning as an online student from University of Scranton. Currently, she is pursuing her Business Analyst Certification. She is a mother of two adorable kids that keep her on her toes. When she not working or doing community service, she loves to hike, watch movies with her kids, read books, trying out new healthy recipes, travel and white water rafting. 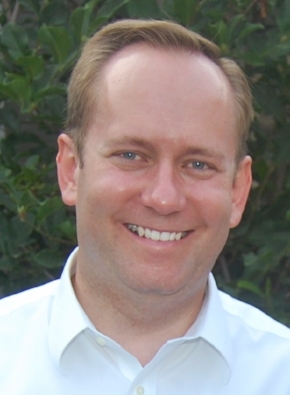 Ryan O. Stevens, MS, FACHE, is Senior Director for Patient Support Services at University of New Mexico Hospitals. Prior to his current role, Ryan spent 8 years working for Christus St Vincent in Santa Fe. After completing a Master's in Healthcare Administration at Trinity University, Ryan spent 2 years in Mobile, AL with Infirmary Health System as resident/fellow. Ryan's breadth of experience encompasses hospital and medical group operations, quality and performance improvement, and strategic planning. Ryan is passionate about improving systems and creating teams that allow providers to optimize their care delivery. Outside of work, Ryan enjoys time with his family, swimming, piano, and lifelong learning. Russell B. Stowers, MS, Ed.D. Russell B. Stowers is the Director for Rehabilitation Services at CHRISTUS St. Vincent Medical Center in Santa Fe, NM. He has a Physical Therapy degree from Amarillo College, BS (Community Health) from Abilene Christian University and MS and Doctorate degree (Ed.D.) from Texas A&M University. His dissertation focused on Professional Development for Physical Therapy clinicians. Russell is currently a Commissioner with the Commission on Accreditation of Physical Therapy Education. Previously, Russell was an Associate Professor/Program Director at Del Mar College in Corpus Christi, Texas for 10 years. He is a contributing author for Behren's book Physical Agents, Practice and Theory and Saunder's and Bandy's book Therapeutic Exercise. Russell is involved in various community organizations including Big Brothers and Big Sisters, Interfaith Community Shelters and is a Captain and Officer in Charge of the 47th Medical Company for the New Mexico State Guard. He has been involved nationally with the American Physical Therapy Association for 25 years and received an award for outstanding service from this organization in 2014. Lori is a second year MHA student at the University of New Mexico (UNM) with an anticipated graduation date of December 2018, and currently serves as the President for the Student Association of Healthcare Administrators (SAHA) at UNM. She previously held the Communication and Social chair positions for SAHA. She has worked for Presbyterian Healthcare Services for the past 20 years in a variety of roles, most recently as a Manager in Performance Management and currently as a Program Manager in Population Health. She holds a Bachelor of Arts in Communication with an emphasis on Mass Communication from UNM. Lori is a native New Mexican, born and raised in Hobbs, NM. She enjoys traveling, shopping and watching TV. She resides in Albuquerque with her daughter who is a senior at UNM.